The New Age newspaper, owned by the Gupta family, has pulled out of the Press Council’s ombudsman system, the council said on Wednesday. “The New Age was one of the publications that have been using our system without being members of Print & Digital Media South Africa (PDMSA), so they are not members [of the council]and therefore are not automatically members of PDMSA,” director Joe Thloloe said. If so, that makes the publication automatically members of the Press Council, and not PDMSA. “Now, when we got the complaint about The New Age from the DA, The New Age was quite reluctant to respond to the complaint and when we contacted them, they sent a note stating they are pulling out of the system,” he said. 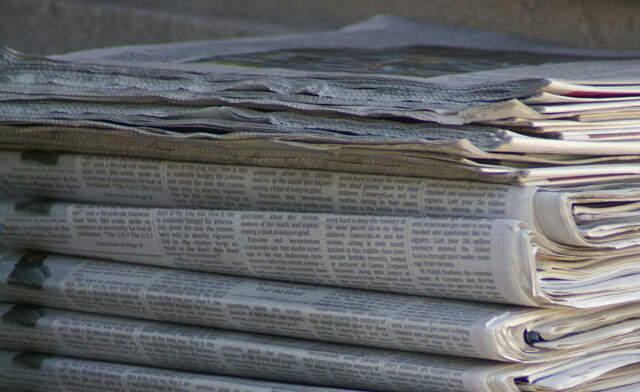 Earlier on Monday, Democratic Alliance communications spokesman Gavin Davis said the publication’s pulling out of the system meant it was no longer possible to hold the newspaper accountable for the fairness and accuracy of its reporting. “The timing of The New Age’s withdrawal is interesting. It follows a DA complaint to the Ombudsman on 3 February regarding a front-page article in The New Age that defended government’s disproportionate advertising expenditure on The New Age,” he said in a statement. Davis claimed the article breached the press code, with meant it was it likely that the DA’s complaint would have been upheld. “So it appears that, to avoid the embarrassment of apologising and retracting the story, The New Age decided to withdraw from the ombudsman process altogether,” he said. No surprise here when it comes to the Gupta family. They know they have no leg to stand on so they run for the hills (probably the Nkandla hills).